I don’t normally write about general discounts on offers, but as this one is of interest to me, it may be to you too. 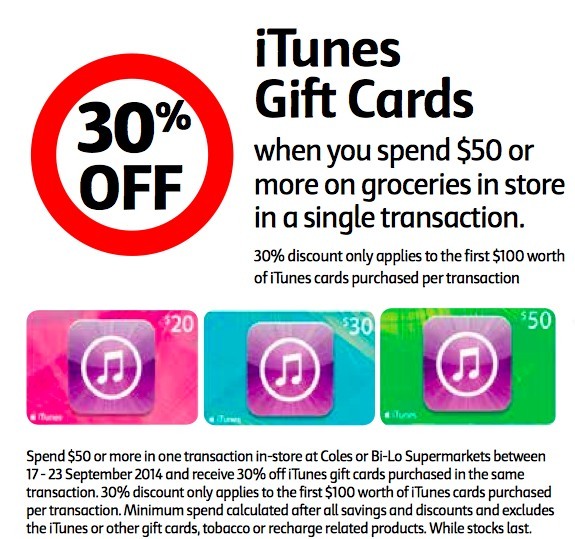 I usually keep an eye on iTunes offers over at Gift Cards on Sale and they about posted a 30% discount offer at Coles on iTunes vouchers, which is valid (while stocks last) until 23rd September. Why is this interesting for points collectors? Well, if you usually spend a chunk of money on apps, content etc from iTunes (which I do) AND have an American Express Platinum Edge card (which I do) you can earn 3 Membership Rewards points per $ on iTunes purchases by buying the credit at a Supermarket, AND also get a 30% discount. There’s a couple of gotchas – you need to spend over $50 on groceries at the same time, and you’ll be limited to $100 worth of iTunes cards (I assume after the 30% discount) per transaction as well. 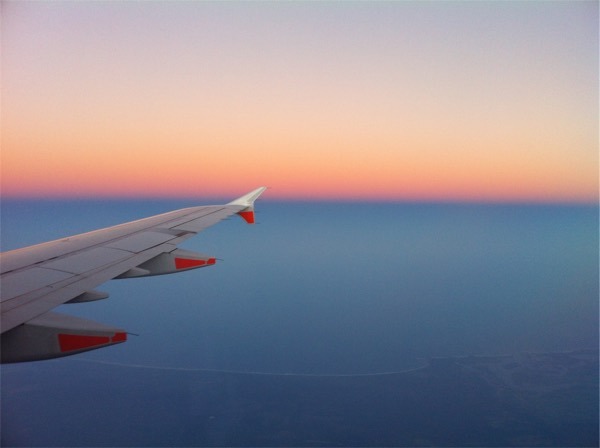 The easiest way to leverage this by far is to head into Coles this weekend and break up your weekly shop into a few chunks of $50 minimums, buying the maximum iTunes credit per chunk. Purchasing $140 face value in iTunes vouchers should cost $98 as the closest to the $100 discount limit. I should be able to get 4 transactions through that way, yielding 4 x $98 = $392 spent on iTunes credit for a value of $560, and a total of 1176 Membership Rewards points spent on the Platinum Edge. If you don’t have the Platinum Edge, then this offer is not worth leveraging as hard – that $560 of credit will see me though for about a year, but for the extra points, 30% discount, and minimal effort, it’s worth it.